Wireline Advantage-New option for large venues. 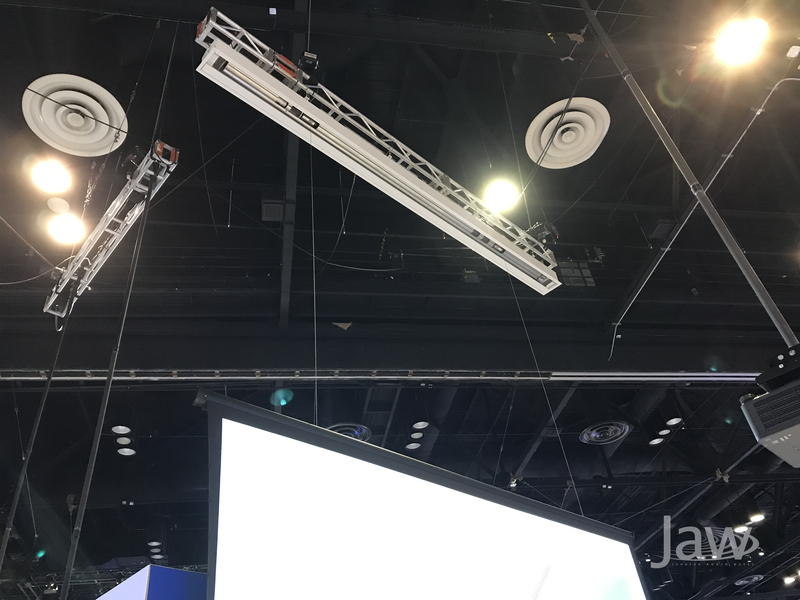 The screen drops on thin steel cables up to 29' instead of using a long black drop. 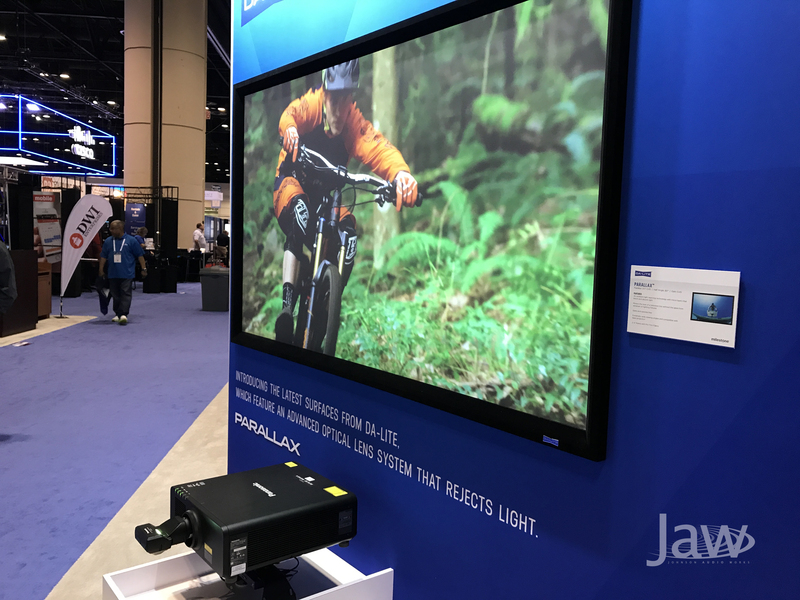 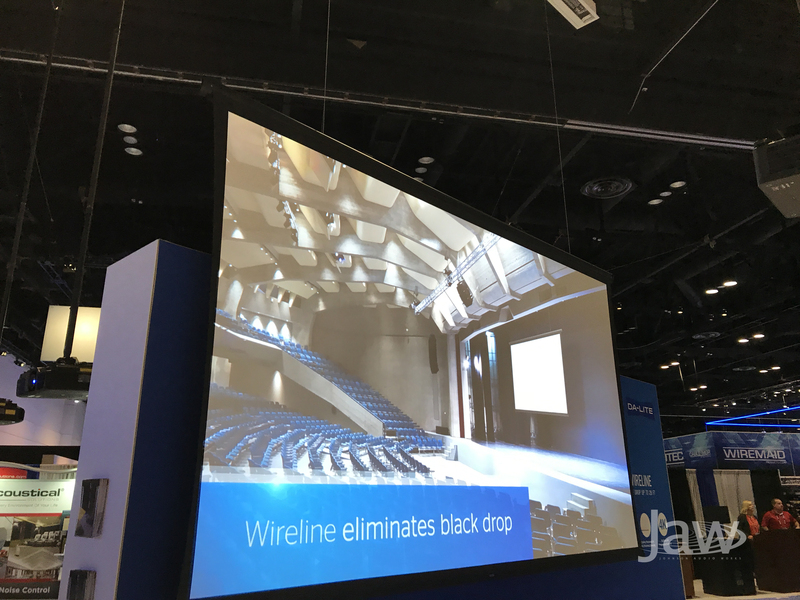 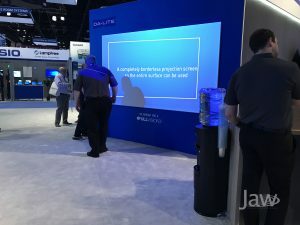 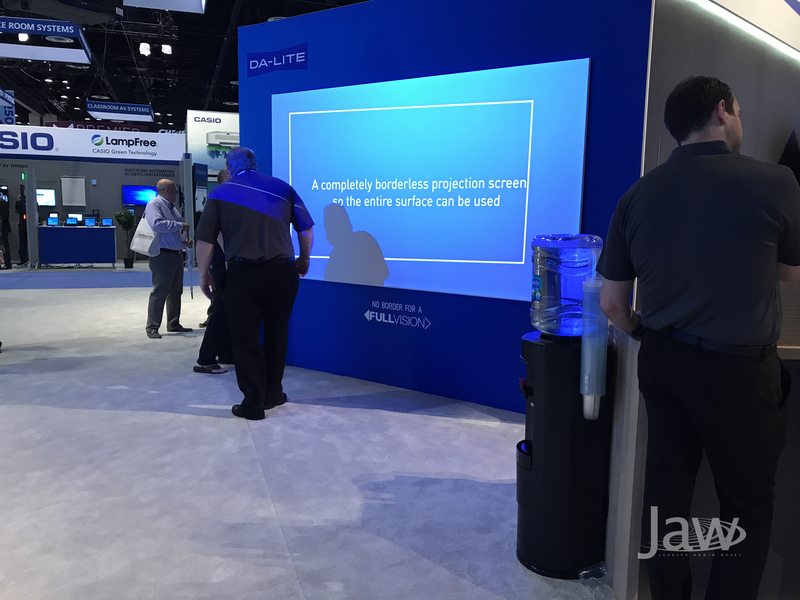 Wireline Advantage-Designed for large venues, the Wireline uses thin steel cables up to 29 feet instead of black drop to lower the screen to an appropriate viewing height.